He said “the big game starts in 3 weeks” meaning the date in early September when tariffs on $200 billion of Chinese goods go into effect. He said “that day could be the start of something hell of a lot worse or significantly better; but the outcome, in my opinion, is going to be binary“. He added “market is saying we have had enough” about trade stuff and “market is going to have very serious trouble” if some kind of arrangement is not struck. The S&P ratcheted up by about 10 handles & TLT fell hard. 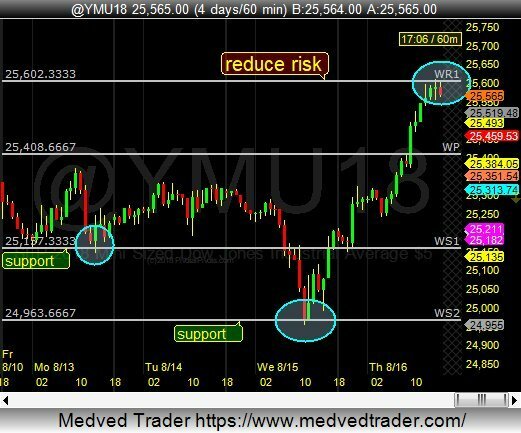 Some of the move reversed into the close but the news had clear & demonstrated effect. The big rally on Thursday was also attributed to positive news about the US-China dialogue. 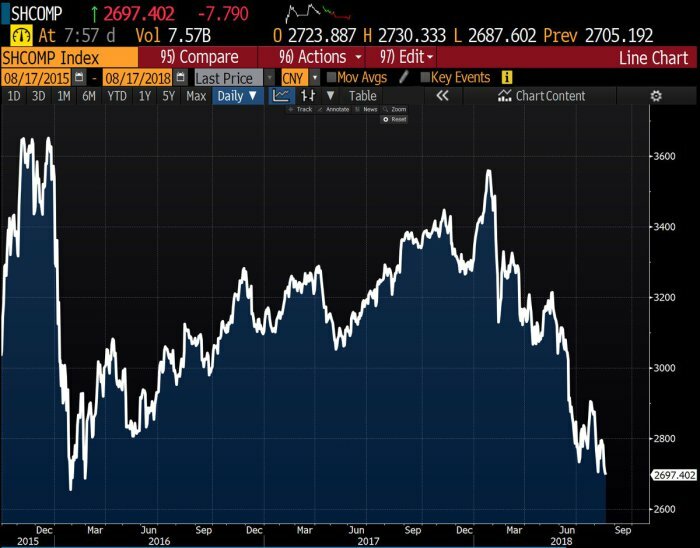 jeroen blokland‏Verified account @jsblokland – #China‘s stock market hits 2.5-year low! We wonder whether an arrangement with China is really necessary ahead of the election. We think President Trump is ready to run with look how much China is in economic trouble because of his toughness and they have no choice but to deal with him argument. 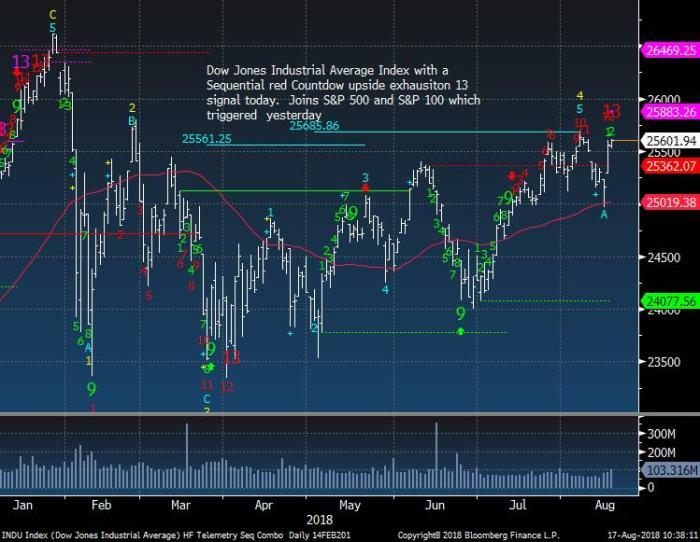 This week’s White House presentation by Larry Kudlow about China’s economy being in trouble could have been a test & a glimpse of what might follow. What did he say about the US? Both President Trump and Larry Kudlow know this & understand this. So, given his ability to express his views, President Trump will be as able to run on holding out for a better deal from a weak China as on having made a pro-US deal with China. jeroen blokland‏Verified account @jsblokland – Friday rerun? EM currencies like #TRY and #RUB falling again as more sanctions loom, measures to stem currency decline remain light. Turkey is far from settled. It is apparent that President Erdogan is getting even more obstinate. While that doesn’t make sense to an outsider, it seems quite sensible to a smart student like Stratfor’s Reva Gujon who knows the big big event in Turkish history – the 1920 Treaty of Sevres. This treaty, we are told, has the same sort of significance to Turkish people that the 1917 Treaty of Versailles had for the German people. 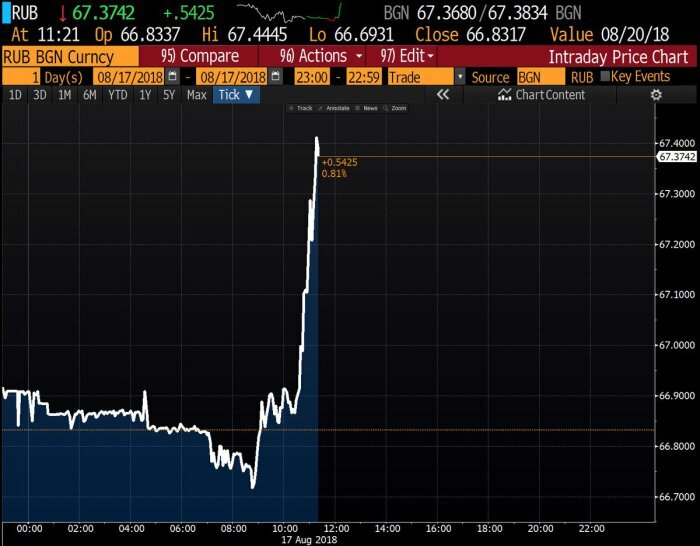 The main point being Erdogan is not going to let the lira crisis to go waste. He will first reap political benefits and then, after the elections, he may come to terms assuming he doesn’t get serious financial assistance from Merkel & Middle East. His main point is that Turkey represents a very big corporate risk and the discovery period is normally 30 days before the market figures out where the bodies are buried. He also points out that any bailout from Merkle-Germany and others will take months & months. So his recommendation is to Sell All Rallies for next 2-4 weeks. This also seems consistent with Stratfor’s view of Turkish elections brought forward to November 4 from next year. By then, the markets will have figured out the damage, bailout proposal would be probably ready by Merkle-UAE et al and Erdogan might be ready to talk seriously. David Rosenberg‏ @EconguyRosie – No contagion, eh? 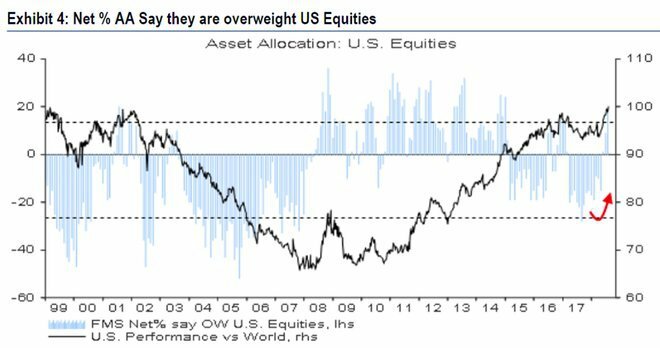 The only folks that can’t see it in the FX and commodity markets spend too much of their day gazing at the SPX and Russell 2000. There is no decoupling, just lags. If this is to be believed, shouldn’t we see some sign of it in monetary aggregates? 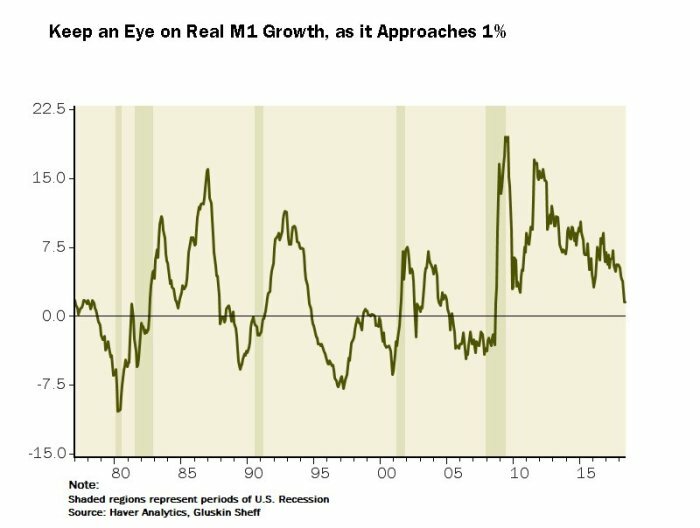 David Rosenberg‏ @EconguyRosie – All of the monetary aggregates have slowed substantially, and real M1 growth is flagging a 1% stall-speed growth economy once we get passed all the pre-tariff buying activity and fiscal sugar-high that skewed Q2 GDP. This should make central bankers more dovish for sure. But how dovish? 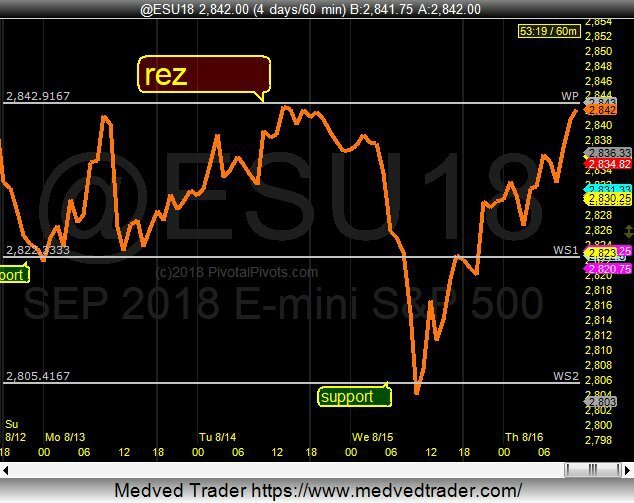 Tony Crescenzi of PIMCO said on Friday that the ECB will keep rates at zero for the next five years – they would raise rates from today’s minus 45 bps to minus 25 bps in 2019; raise rates again to + 25 bps or even to + 50 bps in 2020 ONLY to drop them back to zero. So net net the ECB will keep rates at zero for the next five years and so will BoJ. The Fed may take rates to 3% next year but will only tighten once more in 2018. With all this how do you think large players acted in the Treasury markets this week? Jeffrey Gundlach‏Verified account @TruthGundlach – Massive increase this week in short positions against 10 &30 yr UST mkts. Highest for both in history, by far. Could cause quite a squeeze. Guess who jumped ahead of this “squeeze” trade on Tuesday, August 14! Jim Cramer via his technician colleague Carley Garner. Cramer said it could be a violent move higher in price & lower in yield. Remember how a contemptuous comment about Treasuries from CNBC’s Becky Quick launched the Treasury rally a couple of months ago. This week, Becky was just as confident in saying she expects rates to go higher not lower. In our experience , such totally confident projections from CNBC anchors provide high probability entry points. Will that history repeat here to deliver lower rates over the next couple of weeks? This is not a negative comment about Becky. On the contrary, it takes courage to make a confident prediction for a FinTV anchor. Kudos to Becky for her courage. Hopefully our readers can make some money from fading her courage. 5. India – Unique EM market? As we showed last week, the performance of India’s Sensex & Nifty indices demonstrates that India is a fairly unique EM market. As everybody knows by now, India is a domestic market & not an export-dependent one. Secondly India is not integrated in today’s manufacturing supply chain and so impact of tariffs on the Indian economy is not that big. We add more details below but first things first. Negative risk-reward in Indian indices? – Yes, absolutely. As a trader, for me, the market at this point has run its course and I would be a speculator on the sidelines. 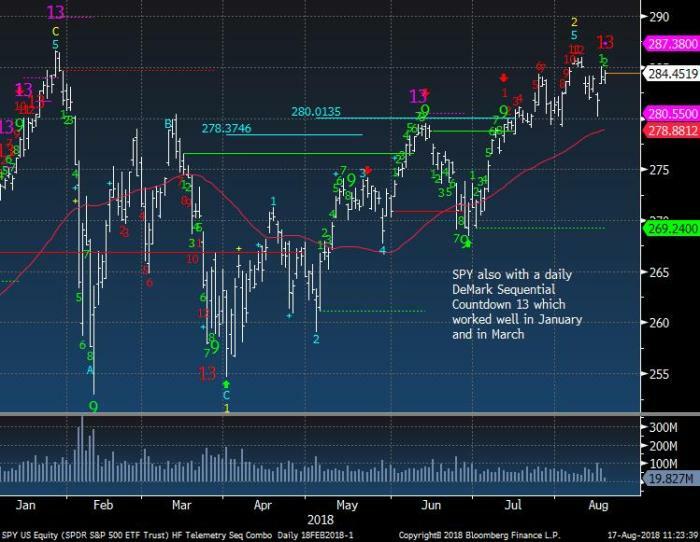 … As a global investor with a longer-term point of view, trading the Nifty futures, I would have to remain long until the market gave me an indication that the trend was turning down. Brandt on Rupee – We think the situation in the rupee is very interesting and worth monitoring. There is a little bit of short-term conflict and confusion going on in the rupee. The rupee has been in a very tight range in recent months. Technically, should the rupee climb above 71, then we see the rupee going to 80 within four to six months. There could be a 10-15% run on the rupee. On the other hand, Raghu-Raam Raajan, ex-Governor of Reserve Bank of India, was not worried about the Rupee in his interview with CNBC’s Sara Eisen. Neither was Ruchir Sharma, Morgan Stanley Asset Manager & author, in his interview with Economic Times of India. Sharma simply said – “I won’t read too much into what is happening with the rupee“. “Of all the emerging markets in the world, India has the best diversity and depth. As a share of the total market, it has the maximum number of companies which can be defined as high quality, which we define as companies which have a RoE consistently of above 15%, or earnings growth of more than 15% a year. This country has the maximum number of companies as a share of the total market of practically any country in the world, which I find very fascinating in terms of it, especially compared to other emerging markets etc. This is a very steady-as-shegoes economy. There will be unfortunate disruptions like demonetisation and GST implementation. The downside is that we will never break out. We’ll never have double-digit or 8-10% growth unless the global economy booms. That’s not the fabric of the nation. There is no incentive for it. 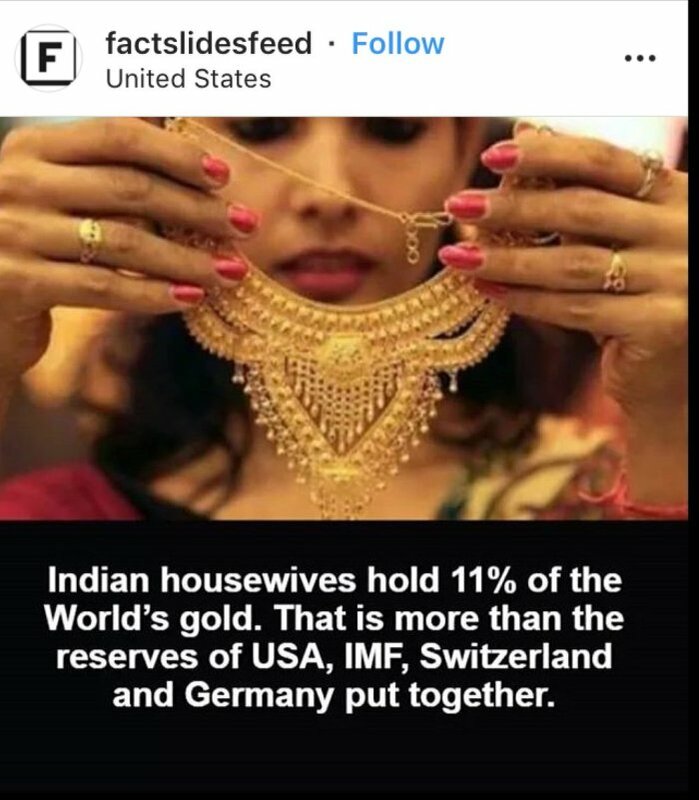 And what is the most shining uniqueness about the Indian market, actually about Indian housewives? Now you understand the frustration of Prime Minister Modi. He has tried every way he could to persuade these housewives to convert their gold to “productive use”. But he has failed. He thinks of this enormous gold holding and probably dreams of a stable strong Rupee backed by this much Gold in the Central Bank’s Vaults. Oh well! Midas had all the gold he could touch. But it didn’t make him happy, did it?